Projects in line with NEA's efforts to better optimise resources, push technology adoption, and improve productivity across the environmental services industry. It was announced yesterday, Thursday 21 March 2019 that two consortiums in Singapore will be undertaking the design, development and trial of driverless vehicles for road cleaning, having been awarded research and development projects by the National Environment Agency (NEA) and the Ministry of Transport (MOT). The first consortium is made up of Nanyang Technological University, Enway, Veolia ES Singapore Industrial and Wong Fong Engineering Works. The second consortium comprises ST Engineering Land Systems and 800 Super Waste Management. 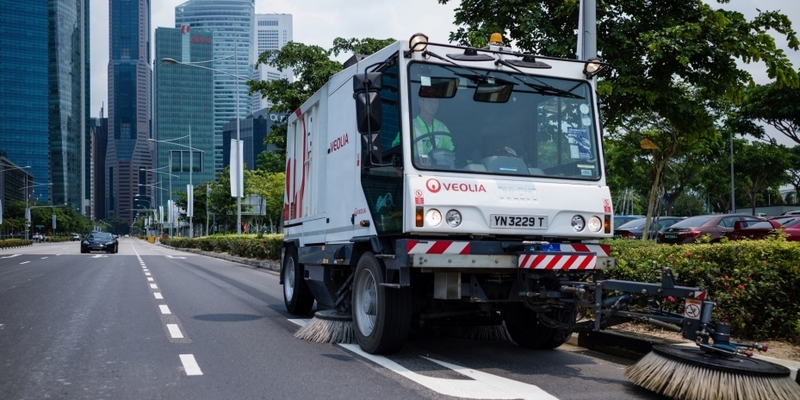 The two consortiums will develop and trial one “autonomous environmental service vehicle” (AESV) each, and apply autonomous vehicle (AV) technology to commercial mechanical road sweepers. This will be carried out over 18 months, which includes a one-year development phase, followed by a proof-of-concept (POC) trial over six months. “The POC trials are expected to begin in 2020. The trials will be conducted in two stages: each consortium will be required to test and demonstrate the safety features of their AESV units within the enclosed circuit and protected environment of the Cetran AV Test Centre; and each consortium will only be allowed to commence trials on public roads at designated AV test sites such as one-north, after they have successfully passed a rigorous safety assessment. They added that the two projects are in tandem with NEA’s efforts to better optimise resources, push technology adoption, and improve productivity across the environmental services industry. The proposals were selected out of eight proposals, based on their potential to fulfil various government objectives for deploying the vehicles, their prior experience in developing AV technologies, and familiarity with road cleaning operations in Singapore. These government objectives include safety as a priority with minimal disruption to the public, effective cleaning of public roads, reduction of reliance on manpower, as well as environmental friendliness. The deployment of the driverless vehicles for road cleaning falls under the roadmap developed by the Committee of Autonomous Road Transport for Singapore (Carts), to leverage AV technology to improve productivity in utility operations, and alleviate traffic congestion by shifting utility operations to off-peak hours.